The magic of Ratatouille : L’Aventure Totalement Toquée de Rémy. Earlier this month Salon Mickey was invited along to attend the Press Preview of Disneyland Paris’ latest attraction, so last weekend Duffy and I packed our bags, and jumped on the Eurostar at St Pancras International for the journey to Marne-la-Vallée/Chessy to see what all the fuss was about. Unless you have been living under a rock in La Tanière du Dragon for the last few years, you are probably aware by now that something extremely interesting has been under construction in a remote corner of the Walt Disney Studios Parkin Disneyland Paris. For many months we have been treated to leaked aerial photographs taken from Toy Soldiers Parachute Drop in Toy Story Playland which conveniently overlooked the construction site of the resorts newest attraction Ratatouille : The Adventure which was formally announced in March 2013 at the Euro Disney S.C.A. annual shareholders meeting. Disneyland Paris unveiled it’s latest attraction Ratatouille : L’Aventure Totalement Toquée de Rémy (Rémy’s Totally Zany Adventure) to give the ride it’s full title in a glittering star studded dedication ceremony on Saturday 21 June 2014 that included Robert A. Iger, Chairman and Chief Executive Officer of The Walt Disney Company as well as Thomas O. Staggs, Chairman of Walt Disney Parks and Resorts, Philippe Gas, Chief Executive Officer of Euro Disney SAS, and of course the stars of the movie. 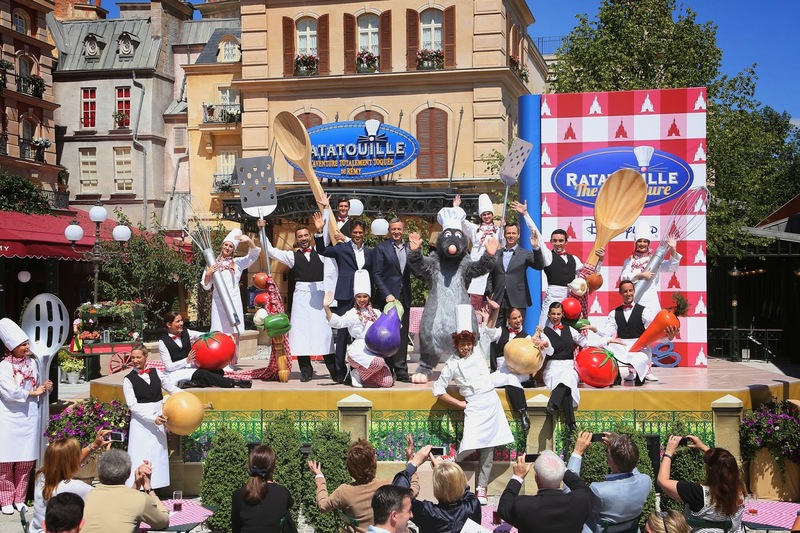 Ratatouille: The Adventure is the resorts 60thattraction and is located in an entirely new area of the Walt Disney Studios Park dedicated to the Disney•Pixar movie Ratatouille named “La Place de Rémy” in honour of the Oscar-winning movie’s lovable rodent star. La Place de Rémy is a breathtakingly beautiful addition to the Toon Studio area and brings some much needed additional themeing to the Walt Disney Studios Park. There are two entrances to La Place de Rémy, you can either enter through the Barrel of Monkeys tunnel in Toy Story Playland which frames the square beautifully but my preferred route is to enter from the top of Toon Studio by Buzz Lightyear. From this route you follow the road down a gentle slope passing the Parisian buildings and ornate railings giving you a feeling that you have been transported to the cobbled streets of a Parisian square. But this is not just any Parisian square. This is Pixar’s whimsical version of the City of Lights which has been magically brought to life with brightly multi-coloured Parisian buildings and shop fronts capped with slate and zinc roofs and leaning chimney pots commonly seen in the French capital. 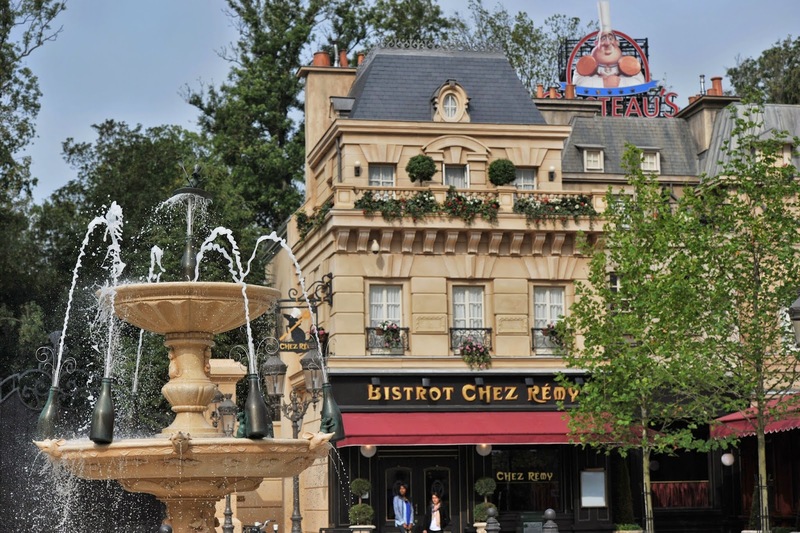 No Parisian square is complete without a central fountain and La Place de Rémy is no different! 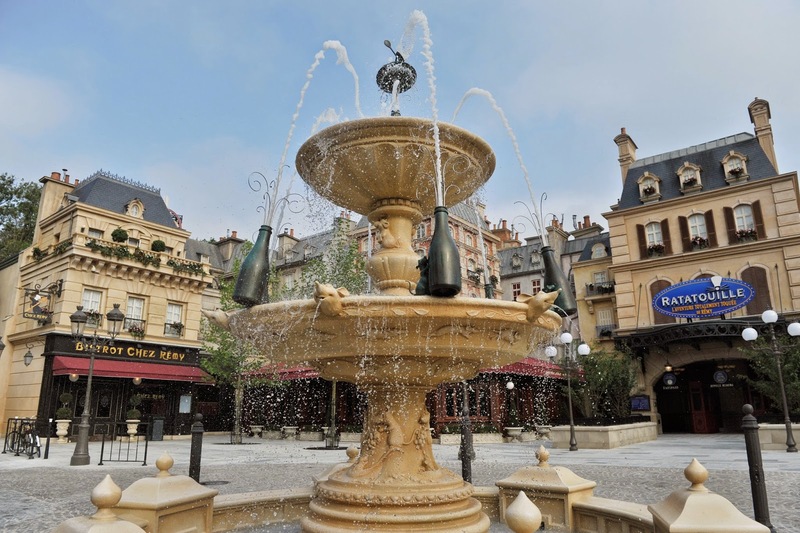 The fountain which stands majestically in the centre of the square has sculpted rat’s heads and champagne bottles and was inspired by the spectacular Jean Pierre Cortot fountains found at Place des Vosges. With rat themed street lamps and park benches you could spend hours in this mini-land taking in all the details. Even the manhole covers have Rémy sailing on his Gusteau cookery book on them. 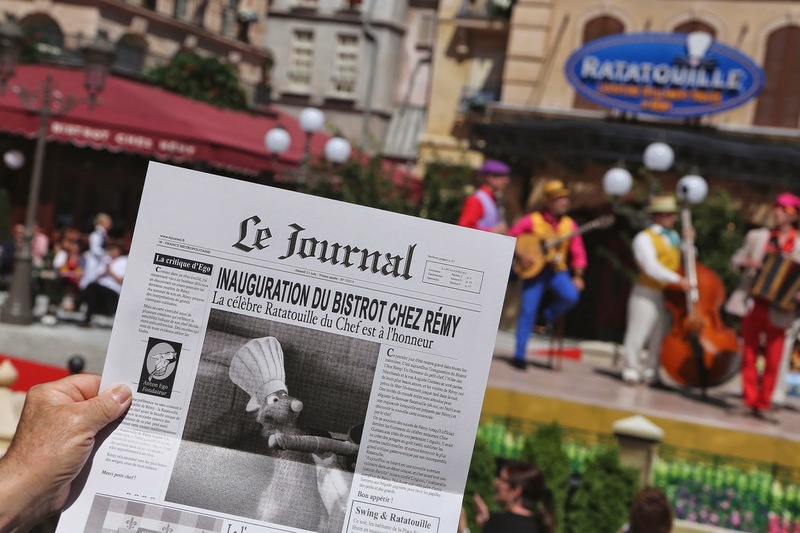 This new land also houses the 370 seat Bistrot Chez Rémy, the largest table service restaurant in Disneyland Paris, the boutique Chez Marianne – Souvenirs de Paris (opening in autumn 2014) and of course Ratatouille : L’Aventure Totalement Toquée de Rémy. There are also many references to the movie to be found around the square including Linguini’s bicycle, Colette’s motorbike and Chef Skinner’s Vespa scooter. Much of La Place de Rémy’s architecture is inspired by the Place Dauphine and the neighbourhood around Boulevard Haussmann in central Paris. It took five-years and a total reported cost of over 200 million euros, to bring La Place de Rémy to life, and Walt Disney Imagineering utilised the skills of an international workforce of approximately 4,000 skilled craftspeople from companies based in the USA and around Europe, including France, Ireland, Romania, and the United Kingdom. French companies employed 80% of the professionals who helped create La Place de Rémy. 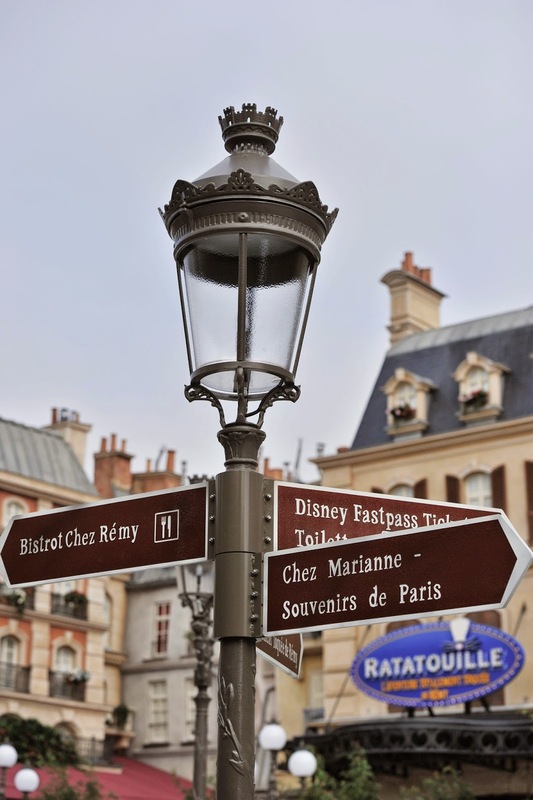 Of the companies contracted to work on the project, 44 were French and of those 34 were from the local Île-de-France area and 11 were on the doorstep of Disneyland Paris in Seine-et-Marne. Paradis Expansion was just one of the many companies from the Seine-et-Mare area involved in the construction of La Place de Rémy. 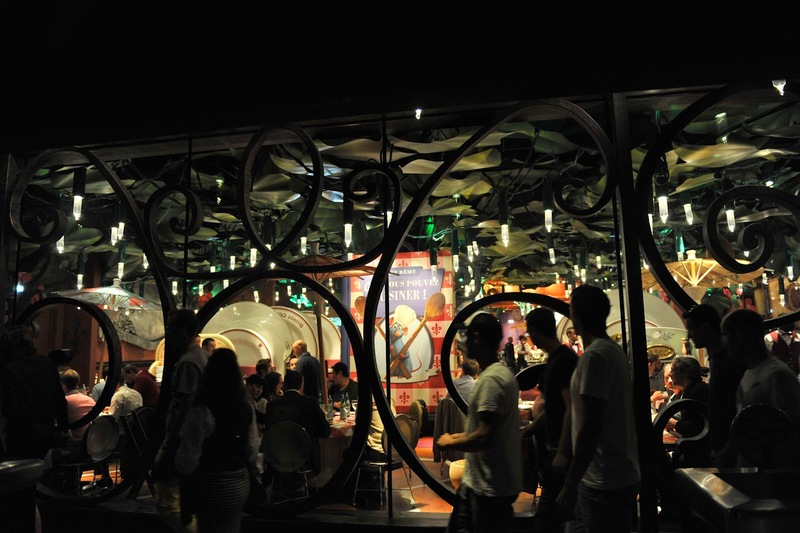 Paradis Expansion was responsible for helping to create the décor at the entrance to Bistrot Chez Rémy – 21 items in all. These included a portrait of Chef Gusteau in his traditional chef’s outfit as well as the trophy won during the International Poultry Competition. A long-term partner of Disneyland Pairs, Paradis Expansion had previously worked on a number of projects for the resort including the 2012 restoration of Captain Hook’s Pirate Ship in Adventureland and they helped to create the multi-coloured building blocks that serve as safety barriers in Toy Story Playland. 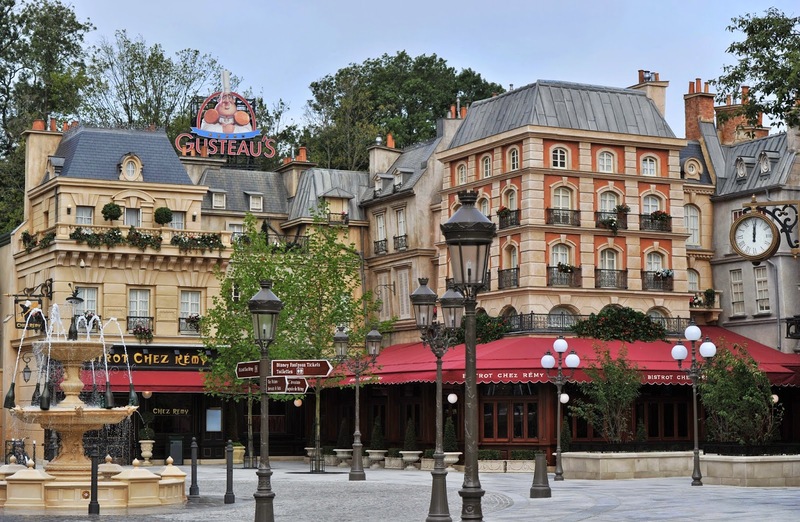 Disneyland Paris has created 200 new jobs with the opening of La Place de Rémy to add to the 15,000 strong workforce already employed by the company of which 25% are non-French nationals. 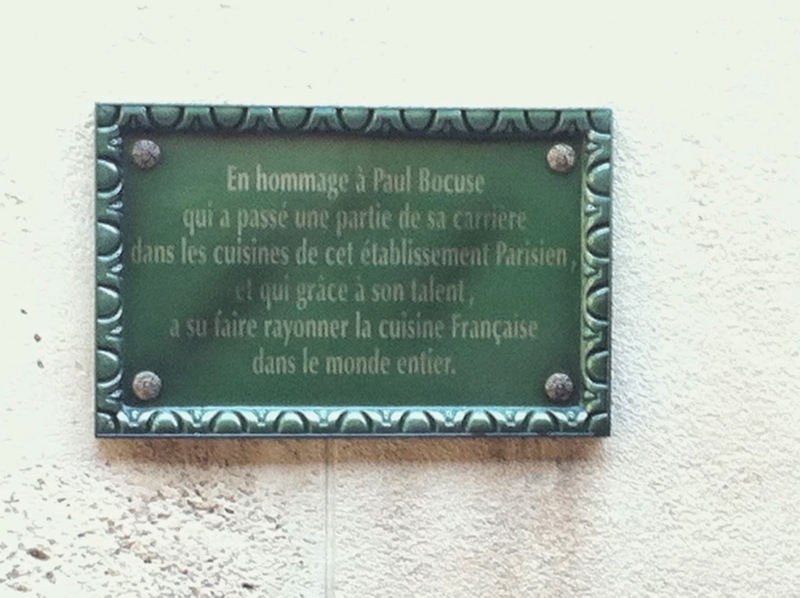 The construction of Ratatouille: The Adventure has also created jobs outside of France. The London based panel beating company responsible for the manufacture of the 2,000 geranium leaves that adorn the ceiling of Bistrot Chez Rémy safely secured the employment of four panel beaters who were scheduled to be made redundant by the company. 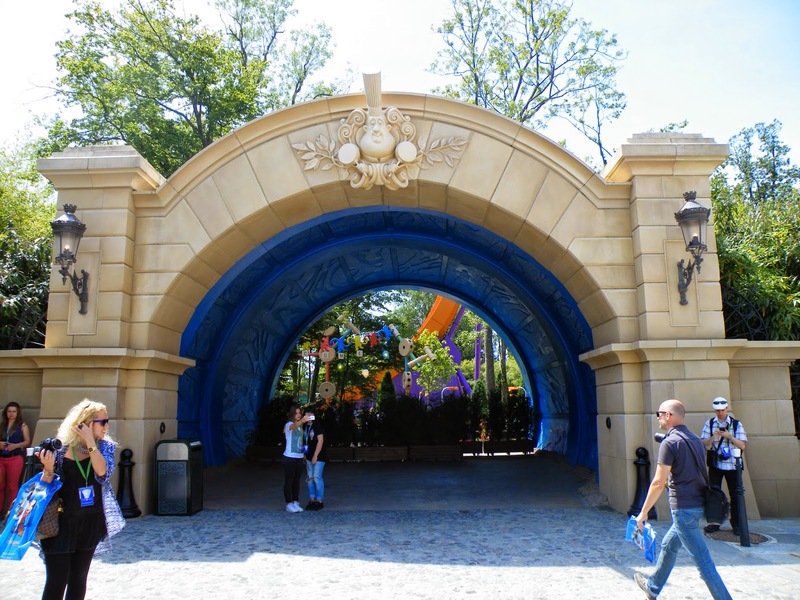 You enter the ride though a reproduction of one of Paris‘ historic theatres by one of a choice of three entrances – FASTPASS, ‘single rider’ or the general admittance archways. Through the general admittance entrance a short walk takes you into a pre-show queuing area where you emerge among the Parisian roof tops to a view of the famous illuminated Gusteau’s sign where there is an animated introduction to the ride in both English and French while the sounds of a Paris street below gives a glimpse into the lives of the local residents. 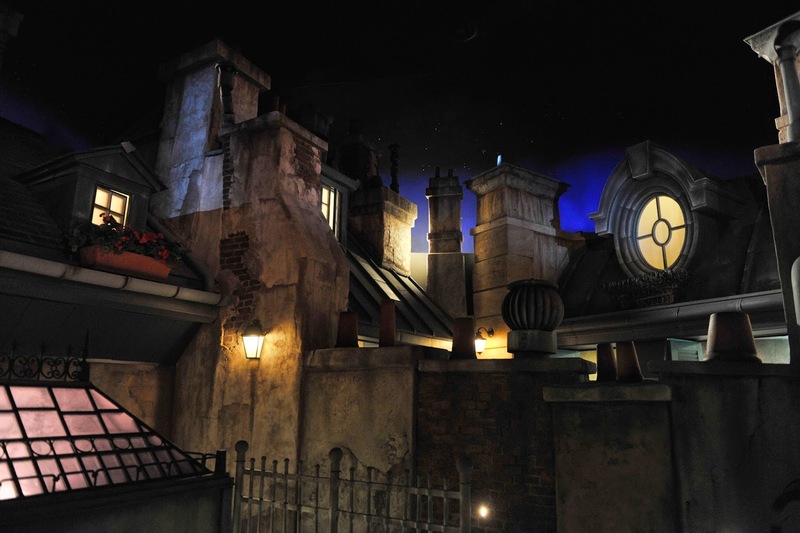 After collecting a pair of 3D glasses you find yourself in the spacious loading area among the Parisian rooftops where your Ratmobile awaits. To give you an idea of the enormity of the show building which houses this new attraction which is composed of vast projection domes – it is on par of the Pirates of the Caribbean show building in Parc Disneyland. 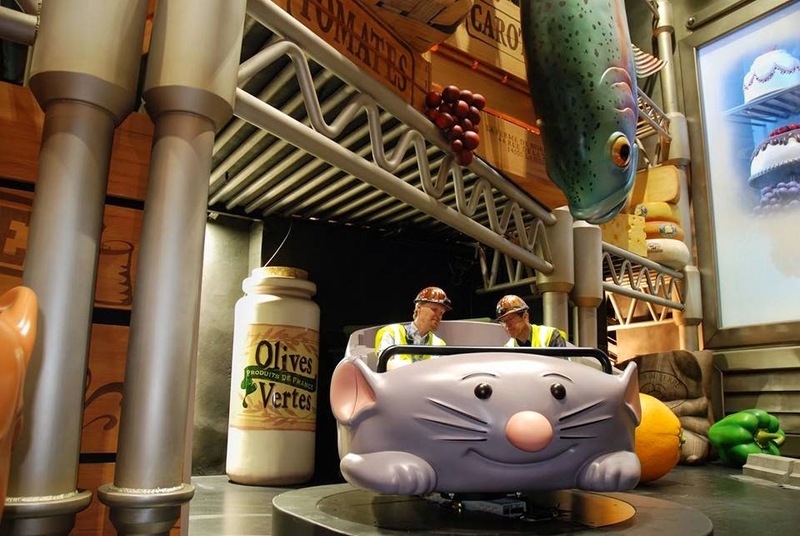 Walt Disney Imagineering Show Designer & Production Manager Bjorn Heerwagen explained that the Ratmobiles for Ratatouille were constructed in California along side the ride vehicles for the Mystic Manor dark ride attraction, which opened in Hong Kong Disneyland in May 2013. Although the Ratmobiles are similar to the trackless ride vehicles found in Mystic Manor and the Tokyo Disneyland attraction Pooh’s Hunny Hunt the vehicles developed for Ratatouille are of a more advanced third generation design and have extra functionality that you will not find in any other Disney attraction. These little Ratmobiles are controlled by a Wi-Fi and GPS navigation system which scurry their riders through the attraction. The vehicles can tilt, turn, vibrate and rotate to accurately mimic the movement of the rides rodents. One unique feature of the vehicle is the ability of the passenger compartment to rotate independently of the chassis, so it can spin in the opposite direction to that of the vehicles base allowing the front of the vehicle to point anywhere required while the base can move in a separate direction. Each ride vehicle weighs 2.5 tons and can accommodate six riders so this attraction is ideal for families. Seats in the Ratmobiles are arranged in two rows of three and there are five different coloured rats available to ride in. They move around the attraction in a mischief of three and perform an elaborate choreographed ballet as they glide around the floor. But like real rats, none of them follows the same route. 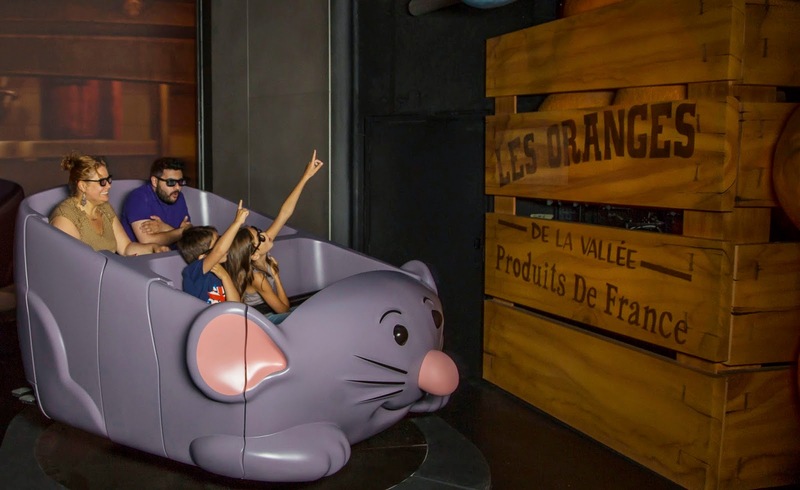 Ratatouille: The Adventure is equipped with 36 Ratmobiles and one specially adapted Rat which is wheelchair accessible with one passenger seat. The ride itself is around four and half minutes long and is a full on Disney immersion where you become one of Remy’s fellow rats and follow him on this adventures. 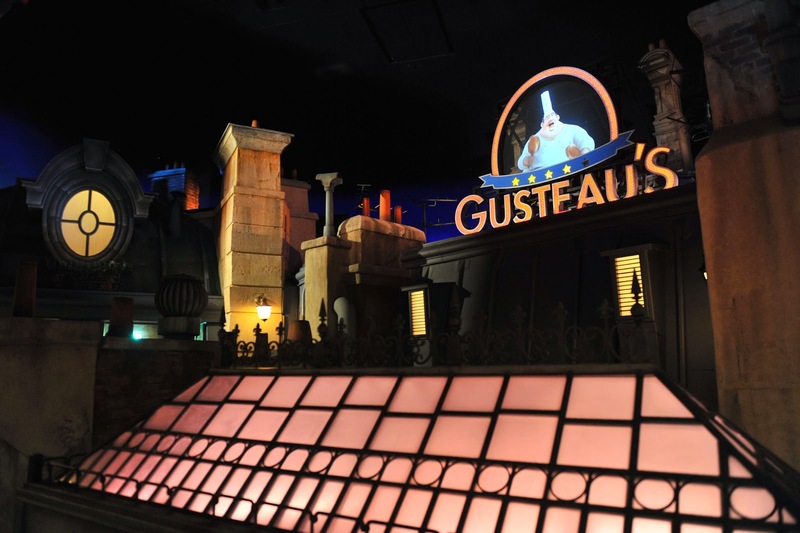 Through the use of fantastic 3D video projections on an epic scale and other Disney magic you experience the sights, sounds, scents and sensations of the kitchen, dining room, and walls of Gusteau’s famous Parisian restaurant while you try to evade capture by the wicked Chef Skinner. 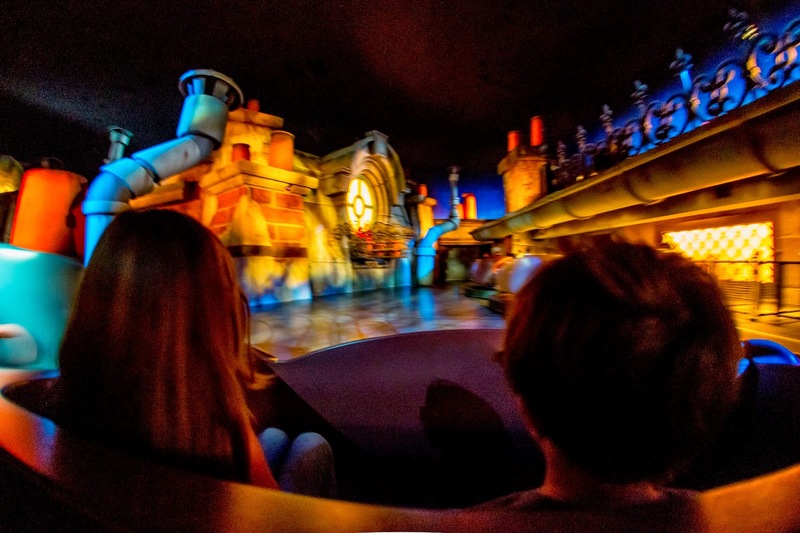 As you chase each other around the ride don’t be surprised if you suddenly find your Ratmobile overtaking the one in front of you, or diving for cover in hole in the wall as you enter another projection dome to experience the continuing story. On route you will get fleeting glimpses of some of the huge props which help to convince you and your fellow riders that you have truly been shrunk down to the size of a rat these include gigantic fruits and cheeses and a giant glass refrigerator door weighing 1.2 tons that is 6.5 meters tall and 4.3 meters wide. 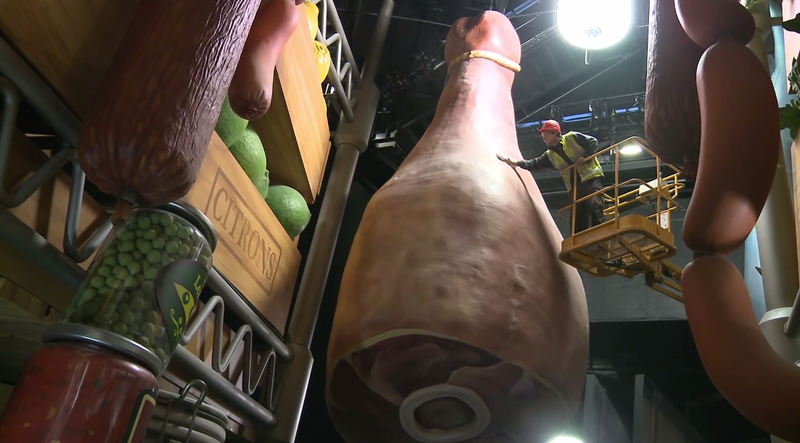 There is even a 6.2 meter long ham weighing 1.2 tons hanging from the ceiling above you which is so large that it has access hatches to allow technicians to climb inside to carry out structural inspections and comes equipped with its own fire suppression sprinklers. The all new original animated footage which makes up the experience in short 3D projected scenes took as long to render as the original movie did. 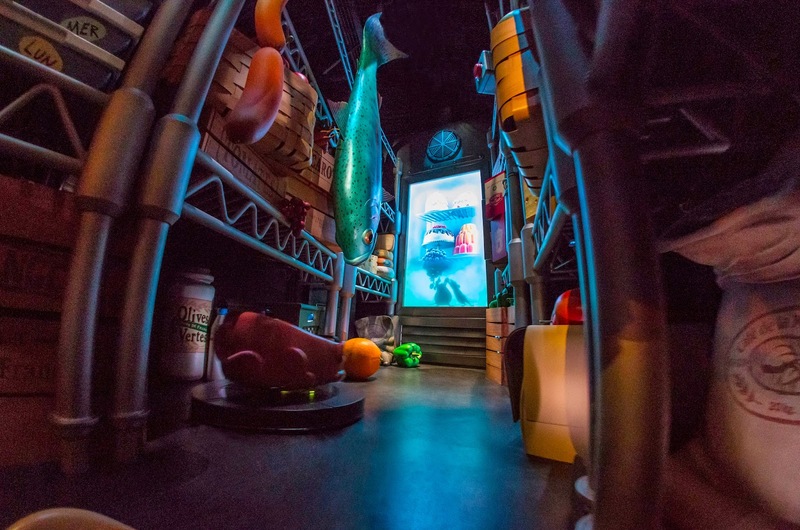 The Pixar animators involved have ensured that the ride has the look and feel of the movie that inspired it. 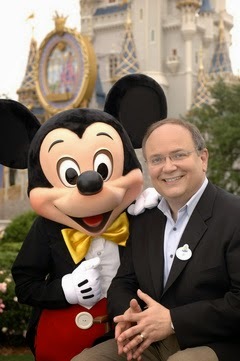 The music for the attraction was composed by Michel Giachinno who was the composer of the Ratatouille movie soundtrack. 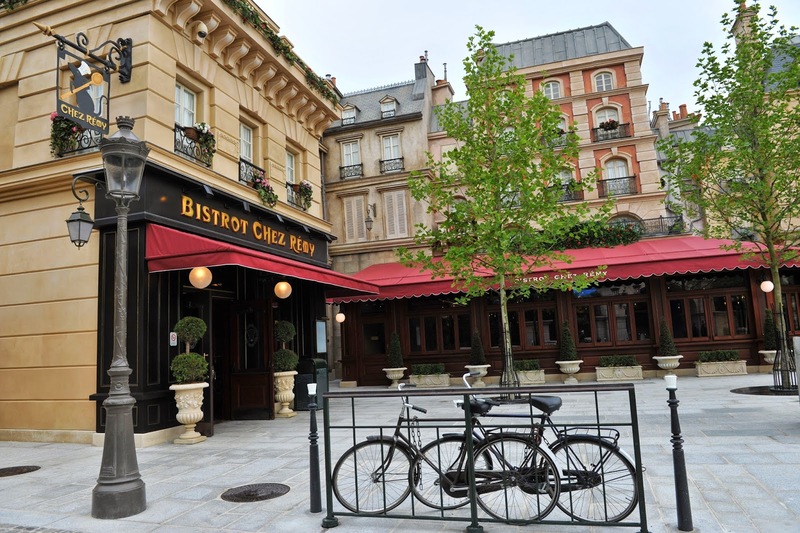 Finally at the end of the adventure you get a glimpse into Bistrot Chez Rémy as you disembark from the ride in the unloading area, this is most welcoming as all that running around should have helped you work up an appetite. 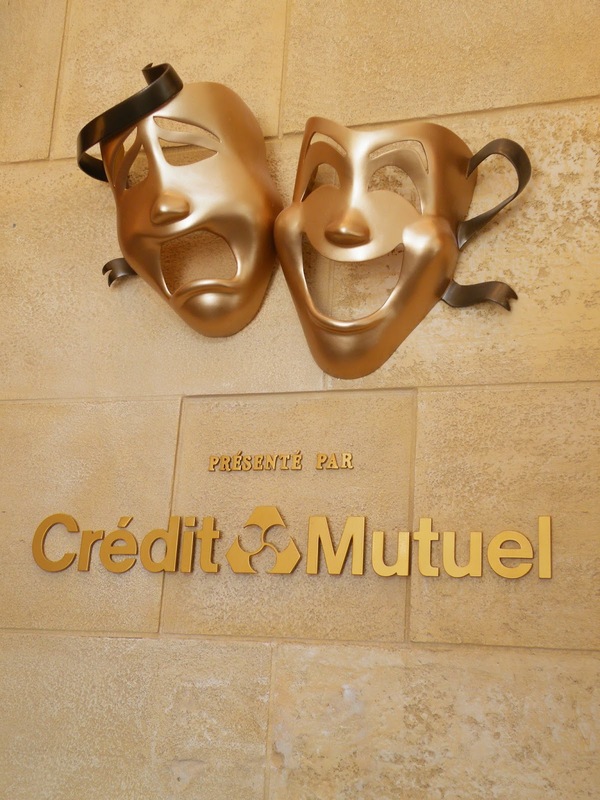 As you step away from your Ratmobile and drop your 3D glasses into the receptacles provided you re-enter normality and exit the theatre into La Place de Rémy. What happens to the 3D glasses after you have finished wearing them? Well they are collected and put into a special machine which was created to clean 22,000 pairs of 3D glasses in just five hours using ultrasound technology. 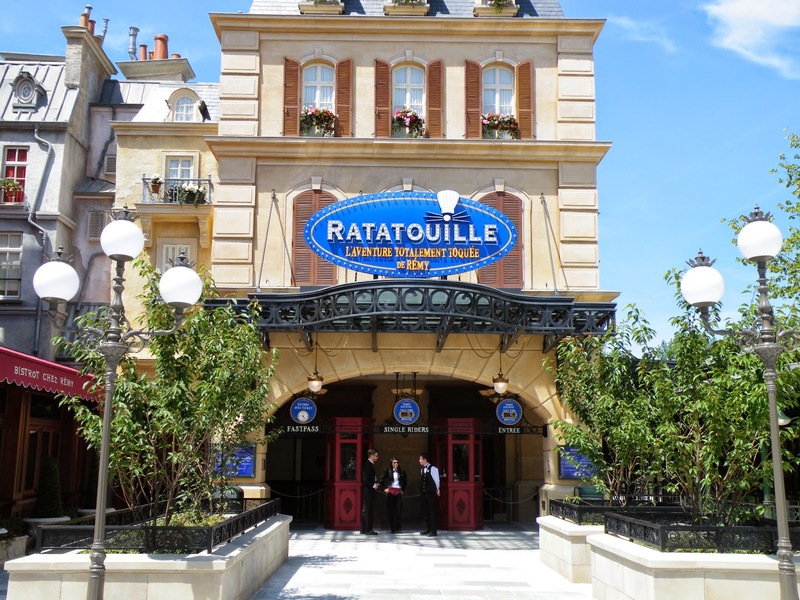 So the question I hear you all ask: “Is Ratatouille : The Adventure the E-Ticket attraction that Disneyland Paris fans have been waiting for?” Well the answer to that is a most emphatic YES! 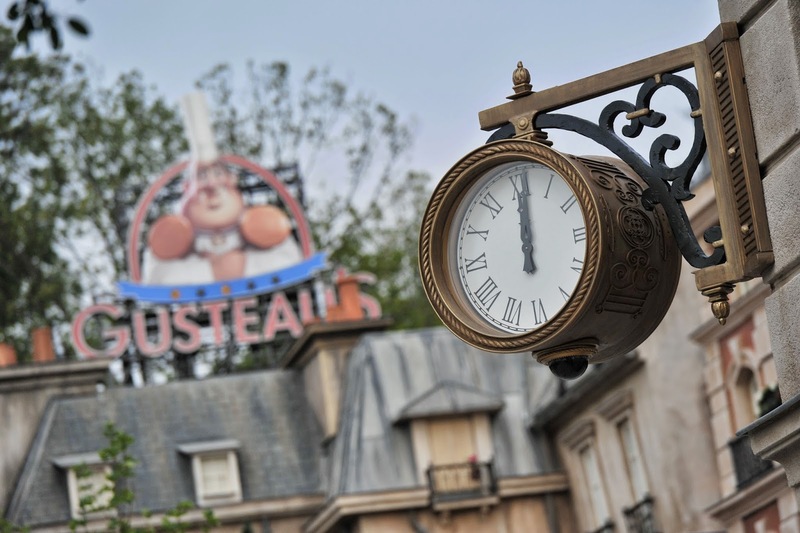 With no height restrictions Ratatouille : The Adventure is a perfect family friendly dark ride that the Walt Disney Studios Park desperately needed. 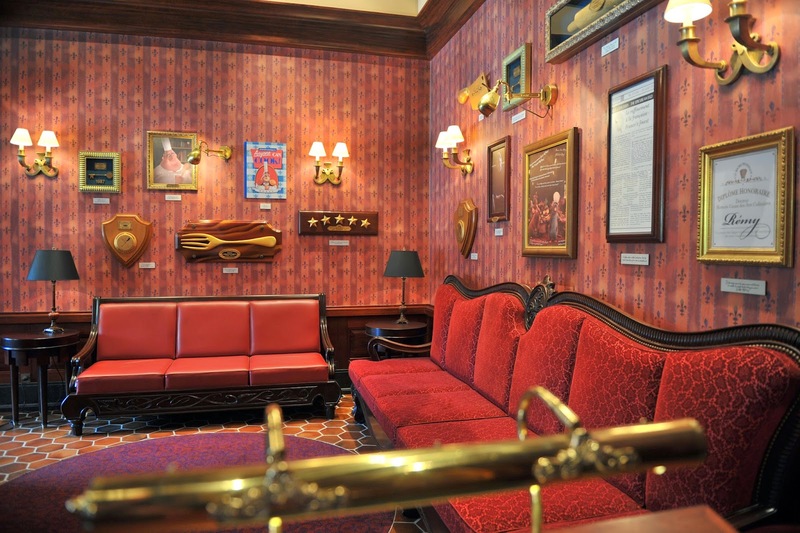 An attraction which can be enjoyed by the whole family, and one WDI couldn’t have done better. 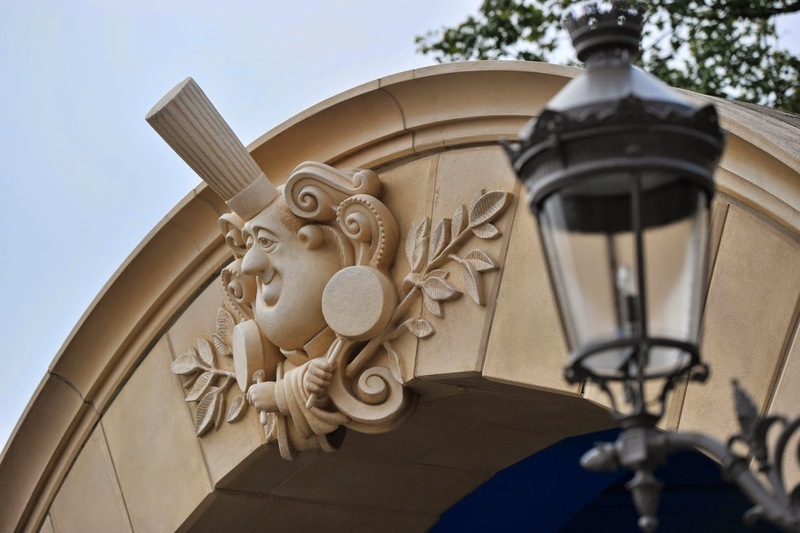 Ratatouille provides another fantastic and unique addition to Disneyland Paris. In a recent interview with Jay Rasulo, Senior Executive Vice President and Chief Financial Officer of the Walt Disney Company, conducted by APPAED he was asked if there were any plans for any further capital investment for Disneyland Paris by the Walt Disney Company. His answered “At present, a capital increase is not considered. Nothing is planned, but you never can tell. We are waiting for the results of Ratatouille”. 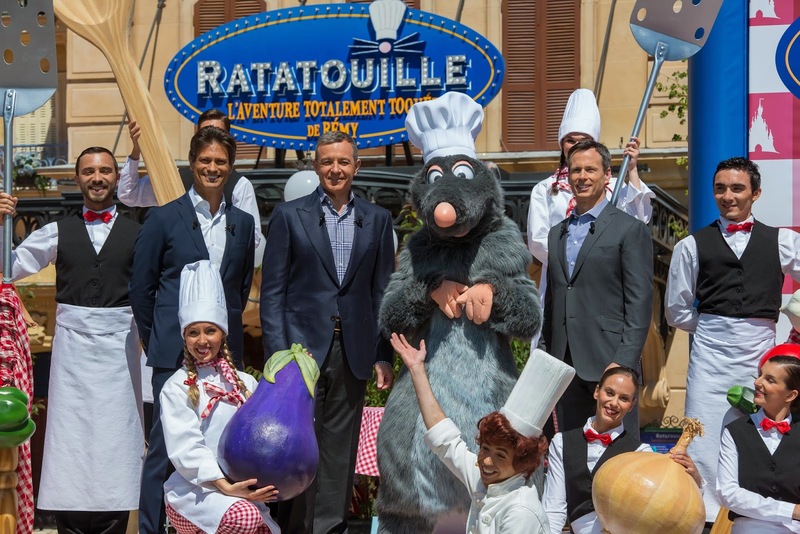 So is Ratatouille the start of a Disney California Adventure style makeover of the Walt Disney Studios Park? I guess we will just have to wait and see. 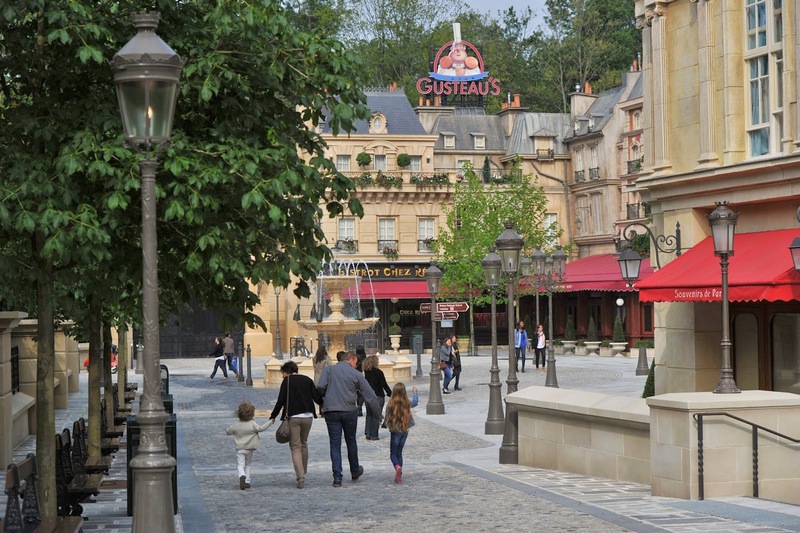 La Place de Rémy and Ratatouille: The Adventure will officially open to park Guests on 10 July 2014.
Who said that Disneyland Paris was only for kids? Discover what happens when five bad guys land in Disneyland Paris. Have fun on and around Lake Disney this summer with Segway guided tours, splashing about in pedalos, hydrobikes and electric boats on the lake and ice skating outside Hotel New York. Disneyland Paris have announced a number of activities for Guests to enjoy around Lake Disney in the Disney Village this summer. Experience Disneyland Paris as never before on a Segway guided tour around Lake Disney and the resorts unique Hotels, and if your lucky enough you may sight the lakes elusive monster – the Gobblewonker of Lake Disney. The Segway tours will start from 3pm from the ice skating rink outside Hotel New York and will be running at weekends and public holidays and daily during the school holidays until 30 September 2014. 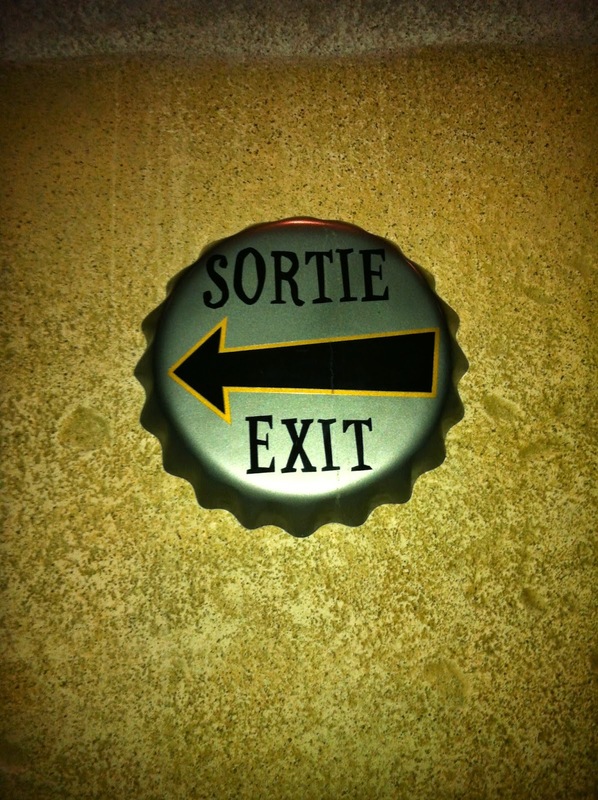 The guided tour will last 30 minutes and will cost 15€ per person. Proper protective equipment will be supplied and Guests will need to be 16 years of age or older to participate. There is a maximum of five Guest per tour so booking in advance is recommended. The magic also continues over at Hotel New York, where you can slide on the synthetic ice skating rink with the latest generation of 3S skates. The rink is open every day from 4pm to 10 pm. Single rate for adults and children of 10€ the price includes access to the rink with no time limit and an initiation for the youngest with experienced staff. A safety kit (helmet, wrist, knee) is available and free of charge for participants. Why not enjoy a splashing good time on Lake Disney, with its pedalos, hydrobikes and electric boats. New photo services pack for unforgettable souvenirs. Disney PhotoPass+: photos taken in the Disney Parks available in HD from this summer! From 21 June this year, Disneyland® Paris presents Disney PhotoPass+, a new service for accessing photo-souvenir taken in the Parks in HD. Guests will have access to a photo services pack to view, download and share all photos taken with Disney characters or on rides that take ride photos. From July 2014, Disney PhotoPass+ will allow guests to access all their photo-souvenirs taken on rides or with Disney characters by Park photographers at photo locations in high definition. Guests will be able to access a dedicated website or a mobile app to view, download and share their photos on social networks or to purchase personalized photo products (mugs, calendars, etc.). The Disney PhotoPass+ service will be on offer at the price of €49.99. Guests will receive a box containing an exclusive lanyard card holder, a main card and two mini cards to use throughout their visit to the Disneyland Paris Parks to link their photos to the service. From the first activation of the pack, guests could associate unlimited photo souvenirs to the service PhotoPass+ by presenting their card to photographers of Disney PhotoPass, or to the photo desk in the attractions equipped with an image capture system or by flashing the QR code directly from the monitors located at the exit of the attractions. Here is a message from the Disneyland Paris Annual Passport Team with regards to the problems some Dream Passport holders are experiancing booking a slot for the Passport Ratatouille previews. We would like to begin by apologizing for the problems encountered when registrations opened for the Ratatouille preview event. We are fully aware that many of you are enthusiastically awaiting this event, and we are doing everything we can to ensure you have a good time. Unfortunately, due to technical problems, the registration website failed to work correctly when it initially went live, preventing many of you from registering. We have since been working hard to remediate these issues. We would like to invite all those who had problems registering yesterday to try again today. If you continue to encounter difficulties, please send an e-mail to the following address: dlp.marketing.passport.annuel@disney.com (providing the following details: surname, first name, Annual Passport number, the date and at least 2 timeslots for which you would like to register). We will do our utmost to reply to each and every one of you as soon as we possibly can. Please accept our sincere apologies for any inconvenience caused. Thank you for your patience and understanding. Disneyland Paris is getting ready to launch the Disney PhotoPass service this Summer after the website www.disneyphotopass.eu was launched this week with free applications available for iPhone and Android. The Disney PhotoPass Service will make it easy for you to view and share your holiday photos, and even purchase unique gifts that showcase your favourite memories, when visiting a Disneyland Paris. You will be able to collect a Disney PhotoPass Card from any Disney PhotoPass photographer. Then, simply go online to view your photos, or even upload a few of your own. While you’re online, you will be able to customise your photos with a variety of unique Disney borders and graphics to create the perfect holiday memory.